NME is 60. The magazine which started out as a 'music newspaper' back in 1952 has gone through plenty of changes in its tenure - from newsprint to glossy, from creating and being involved in The UK Singles Chart to being all about niche, hipster cool. One might say the NME has changed its facade and rhetoric more times than Bowie in the '70s or Madge in the '80s. It is now an institution, whether you like it or not. Personally, I feel it's become unnecessarily hip-focused; placing spotty bands without deals on a pedestal which they may not fulfill, however, it has helped numerous acts go on to become institutions themselves - and in this regard it should be lauded. Certainly, the measure of the influence the NME has on culture is incalculable. That it came up with the idea for the UK Chart would alone cement this, however, even some of the more inane features such as 'The Cool List' and the endless '100 Greatest...' polls it conducts have an effect - reflecting the modern day need cyclical trends and canonical cobblers pertinently. 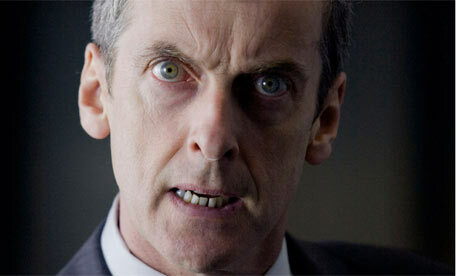 Aside from this, a quick note of admiration also needs to be expressed on the new series of The Thick of It. It is superbly observed, written and realised political satire and in my view is the funniest thing on the box at the moment. The Coalition and Shadow parties seem almost too real in their strategy and I'm waiting for Malcolm Tucker to blow and scream at someone - probably Nicola Murray - in his own menacing, marauding fashion. The start of autumn is always a particularly saturated period within the arts. With those cash-rich student folk going back to University, the kids back at school and Christmas on its way (CD, DVD and book sales about to soar) it seems as if we're thrown a fuckload of cultural clutter at once. However, it is, purely by numbers, usually a period that throws up some top-notch music, film and literature. As such, this autumn is no exception. Yeasayer have released their superb new electro-prog wonder; Fragrant World - a magical, whirlwind tour through part-Pierre Schaeffer cut-and-paste jitters, part Beatles-esque melodic realisation. As a record it works on the music-as-art level necessary for its captive hipster audience as well as finding a balancing mechanism in its approachable nature. Loopers looks as if it will be a sensational film - just from the trailers alone. If it lives up to its critical billing of 'This year's The Matrix' it cannot go wrong commercially either. The Sweeney, however, may be one to miss. Upon seeing it last night, all I was left with was a feeling that I could have just watched the second half - without the love triangle nonsense - and still caught the gist of it. That said, it is watchable. Will Self's Umbrella promises to be a psycho-geographical tour of the labyrinthine web of terror that is my home-town and residence again; London. Self pours out canon-worthy brilliance every couple of years, so never mind Fifty Shades, Umbrella is the literary event of 2012. After a brief hiatus - due to a number of things which are far too tiresome to go into here - I shall begin updating this old blog again! Anyway, I thought I'd kick off with a few things going on in music and the arts, so here we go.